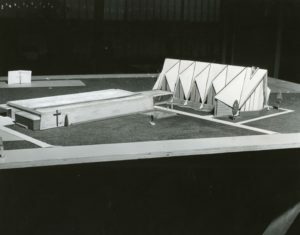 The A-frame sanctuary for the Evangelical and Reformed Church was constructed in 1960, minus its original folded-plate roof design that can be seen in the model. 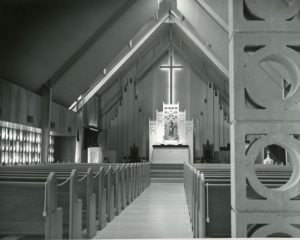 Inside, the sanctuary featured concrete breeze blocks that let in plenty of natural, filtered light. The entire complex was demolished in 1981 after the congregation merged with another church. 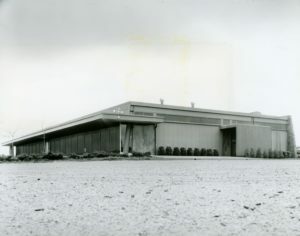 A bland office park was constructed on the site a few years later.